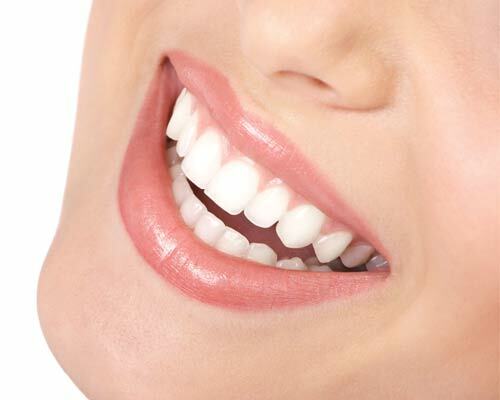 Did you know that Sea Buckthorn can whiten your teeth and improve the health of your gums? Sea Buckthorn is widely known for its curative effects on the body, as well as, aiding in weight loss, but one benefit of Sea buckthorn is being hailed by Dr. Oz as a natural teeth whitener. Sea Buckthorn berries originating in Western Europe are harvested for their oil and juice, and have been documented to be a wonderful dietary supplement providing the vitamins, minerals, fiber, and essential fatty acids that may be deficient in the diet. Learn more about sea buckthorn’s impressive benefits here. In a Dr. Oz segment airing called “Naturally Whiten Teeth”, he explained that most teeth become yellow due to stains from tobacco, coffee, wine (both red and WHITE!!! ), and, Tooth decay caused by bacterial residue from sugary, starchy foods. He stated that foods rich in Vitamins A, E and C and anti-oxidants, such as Sea Buckthorn, act as an exfoliant and dramatically whiten our teeth! Having an abundance of all of these vitamins and even more lipids, Sea Buckthorn’s natural cleansing, anti-microbial benefits is good for healthy bone and tooth structure, and the healing of damage to your teeth and gums. We’ve heard Dr. Oz rave about the overall curative effects of Sea Buckthorn as a dietary supplement. He has dedicated various segment airings on improving acne and constipation with Sea Buckthorn, but, in a recent dental makeover for a lucky woman, he introduces it as a key element in her tooth repair and overall dental health. The makeover was performed by Dr. Gerry Curatola, an Oral Health & Wellness Expert and Clinical Associate Professor at NYU College of Dentistry. Dr. Curatola explains that Sea buckthorn is also rich in Omega 3’s and is an anti-inflammatory. The Sea Buckthorn has been studied and found to repair the mucous membranes which the lips and gums directly benefit. And we all know that great teeth start with the gums!! He recommends using the oil directly on the gums and it will benefit those suffering from tartar buildup and gum disease. This special oil has another remarkable benefit to oral care, Omega 7. Sea Buckthorn has an abundant quantity of this special essential fatty acid (along with other helpful oils). This remarkable and little-known nutrient is very helpful at improving lubrication throughout the body – including, saliva. Saliva has a cleansing effect on the teeth. Increased salivation helps in digestion as well as improves cleansing of the teeth. Learn more about sea buckthorn’s omega-7 by clicking here. When it comes to healthy teeth and gums, and overall oral health, a natural remedy is, once again, Sea Buckthorn. It can be applied topically to nourish and heal the tissue and mucous membranes or taken internally for an inside-out approach. You will also find it extremely useful for other treatments such as eczema, rosacea, acne and burns. It is also known for fighting wrinkles and age spots. This naturally inexpensive product can go a long way! Read about sea buckthorn’s relieving properties for skin ailments here. ← Straight from The View—Sea Buckthorn great for Skin, Hair, and Nails!!! If someone already has gum disease such as gingevities, will sea buckthorn oil clear up the problem or do they still need to treat it with antibiotics? Sea buckthorn ‘may’ have antibiotic properties according to a couple different sources but we wouldn’t recommend you to not follow a doctor’s guidance. It can certainly help in many ways though. Many sources claim sea buckthorn is anti-microbial, it definitely has very strong anti-inflammation properties (Gingivitis stands for inflammation of the gums), and the nutritional properties when taken internally support the body and immune system holistically from the inside-out. We’d recommend taking a dropper of sea buckthorn oil twice a day and swishing it around your mouth like a rinse, allowing it to seep into and nourish the gums and mouth lining. Swallow it afterwards for the vitamins, minerals, EFA’s, and other nutrients. This way you can administer the oil not only topically on the gums and in the mouth, but also internally for health support. I hope this helps your question Helen! Thanks for answering Helen’s question because your answer about swishing it around the gums then swallowing was helpful for me! I’ve been using seabuckthorn oil and the extract powder stuff for about a week now. I can hardly stand the taste of the powder, but the oil is completely fine as far as taste goes. Anyways, I was trying to learn more about its effects for teeth as well since I have a few issues myself. I have a root canal and three teeth that my dentist only temporarily filled a year ago & I try hard to keep my dental health in good condition so I don’t have to go back! I also am trying to work on maybe, just maybe getting my drilled teeth to become as healthy and strong as possible. I’ve even read you can heal your bad teeth! So I’ve spent the last year working my rear off trying to do as much as possible. Anyways, my root canal tooth gives me a lot of pain as do the others a little. So I have been hoping that the seabuckthorn oil could be helpful if I added a few drops in my mouth, let it hang out and then swallowed! So I went online searching just now to find if that is even helpful & came across this post. What awesome news for me! I’m glad to see this. So I just wonder if the oil can perhaps do something for these teeth that are damaged. Also, do you think it’s possible it could eventually be helpful for a tooth that’s starting to get a cavity — or already has a small cavity? That would be really awesome! I oil pull with olive oil & even wondered if I might be able to do that with this oil too! However, I have a pretty small amount & really don’t want to just waste it when I can be taking it internally — it’s too expensive to waste like that, so I’ll probably stick with the olive oil for oil-pulling, but I bet the seabuckthorn oil would also be beneficial for oil-pulling! I’ve been considering sharing my journey with the seabuck products on my blog. I also have been using a seabuck lotion for a while & got a seabuckthorn facial exfoliator a long time ago & I tell you, there’s nothing like it! It makes my face skin so soft it’s unreal! It’s so weird what it does for my skin. Like brand new each time I use it! Anyways, I just though I’d mention some of those things. I haven’t been able to find a whole heck of a lot of info on seabuckthorn oil and extacts besides a little benefits that are listed here and there, but I wonder just what all this stuff can do for us. I mean, it sure seems like it could give some serious healing. This is coming from a girl who’s suffered with IBS & endometriosis since 15 — I’m 23 now. So when I read about the digestive benefits, I was excited. I will keep using this on my gums and teeth before swallowing now that I know it’s good for them! I also love that it has the omegas because I knew I was very lacking in that dept. but I hardly ever consume foods with omega 7 or even 3’s so I went searching for ways to incorporate them into my diet to also help with my teeth. I ended up using chia seeds until I got this seabuck stuff, so it’s even better to know I’m benefitting there too! Well, thanks a million for sharing this information! And big kudos for answering people’s questions here in the comments section. That’s really nice to see because they become helpful to others who come along, like me. Sea buckthorn should be helpful for damaged teeth and forming cavities from a tissue-healing standpoint. It’s fantastic for mucous membranes and should provide nothing but benefits for your purpose. 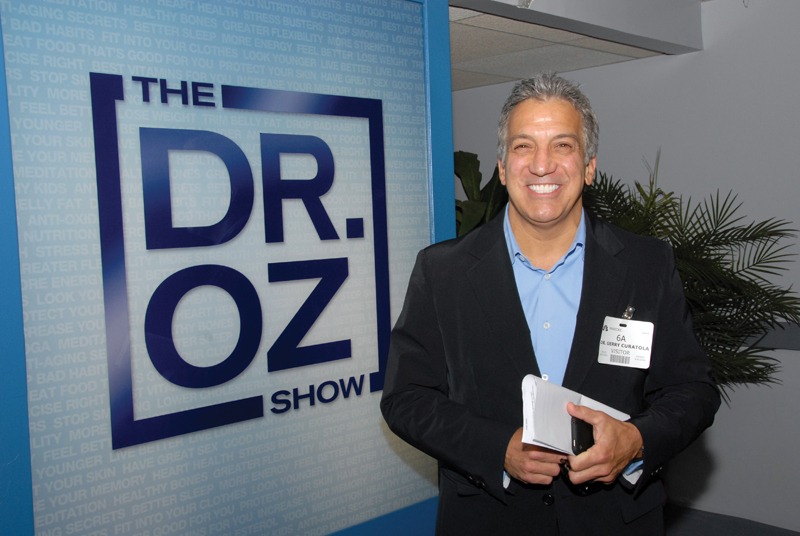 Dr. Curatola was the dentist on Dr. Oz who discussed the oil for healthy teeth and gums. You can google that show to view it and see what he said. I’m glad you’re enjoying sea buckthorn products so much! They’re so versatile – especially the pure oil. Sea buckthorn is fantastic for Omega 7 but also, as you stated, for Omega 3’s. And it’s a vegan source which is nice for some people! You can always drop it into a smoothie if you don’t like taking the oil straight. For your purpose we’d recommend taking it straight, swishing it around the mouth and teeth (as you stated), and then swallowing it for the internal nutrients. It’s a win-wi. We try to answer questions and help however we can! Thanks for being a part of this community! Took a look at your site. Random side note – sea buckthorn oil can be used as a sexual lubricant! Will seabuckthorn oil help heal damaged tissue , inside lower lip, from dental surgery? Sea buckthorn can certainly help heal damaged tissue and has a lot of history being used in that manner. It’s especially effective for mucous membranes which are abundant inside your lips. Please see this article where Dr. Curatola recommends Sea Buckthorn for oral health … Dr. Curatola is a reknown dentist who highly recommends sea buckthorn oil. after seeing the dr. oz comment about sea buckthorn oil, i began using it. it whitened my teeth nicely. i pretty much use oils for everything, including daily body cleansing (use no soap anywhere on my skin, except for shampooing hair and scalp and intend to stop that someday as well), so using sea buckthorn on my teeth was a welcome idea. stopped using toothpaste entirely. only use sea buckthorn oil that comes dilited in grapeseed oil on my toothbrush. have been doing this for the past few months, and in addition to quickly whitening my teeth, it has removed all plaque except there is still some left on backside of bottom four teeth. but not much. haven’t had my teeth cleaned by a dental hygenist since 1984, and the dentist told me only last week that he couldn’t see any plaque except on those four teeth mentioned above. i didn’t have a lot of plaque before, but there was some, amd perhaps the oil permeates it, letting the toothbrush remove it, just a guess. i feel good about not using an abrasive toothpaste on my teeth, only nourishing oil. my whole mouth has really responded well to the addition of sea buckthorn oil. thank you, dr. oz. I am wondering if sea buckthorn seed oil or berry oil is better for whitening teeth and gum health. Omega 7 is the fatty acid that has so many health benefits for the mucous membranes such as the gums and mouth tissues. 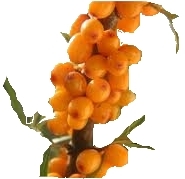 Most of sea buckthorn’s Omega 7 content is found in the berry oil. That being said, we’d recommend the Berry Oil. However, Seed Oil still has many benefits for these tissues to so feel free to experiment. It wouldn’t hurt to take capsules as well as swish with the oil. It’s a bit hard to describe the taste of sea buckthorn fruit oil. It has a botanical taste, almost flowery. If you click on our sponsor’s advertisements that you see on our website, you will be able to find sea buckthorn oil in dropper bottles. But yes you absolutely can break open caps and use the oil on your gums. Yes, that is exactly what you should do!